Click the button below to pay online for an individual membership. Click the button below to pay online for a dual membership. 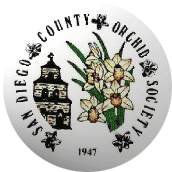 Click the button below to purchase a SDCOS Name Badge. Click the button below to make a contribution to our conservation efforts.